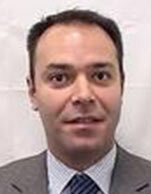 Fotis Giannakoulis, Executive Director, Research, joined Morgan Stanley in 2010. He covers the global shipping industry. Prior to joining Morgan Stanley, Fotis was a banker at Fortis Bank (currently ABN AMRO) and Poten Capital Services putting together a number of debt and equity financings and working on several advisory mandates. In 2009, he advised Eton Park exploring opportunities in the shipping sector and originated a joint venture with Euroseas and another private equity firm. Other indicative transactions include the private equity investment of Fortis in Diana (DSX) and the subsequent IPO, the spin-off of $1bn worth of assets for CMA CGM and the formation of Global Ship Lease (GSL), the acquisition of Metrobulk from Quintana and a number of offerings, debt and mezzanine transactions. Fotis holds a Bachelors degree in Economics from University of Piraeus and he earned his MBA with honors from Loyola University Chicago, where he was the Walter F. Mullady scholar.